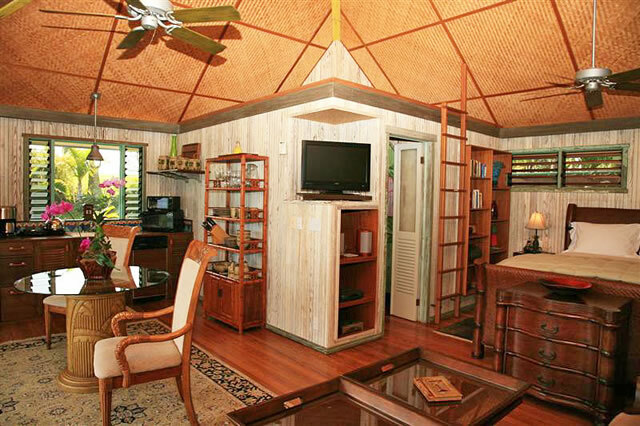 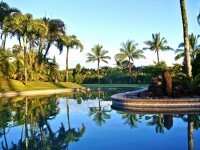 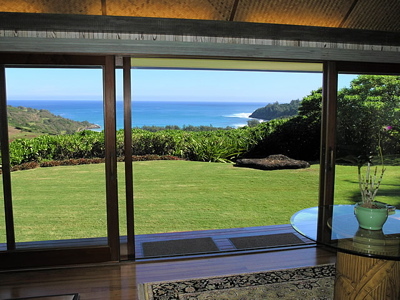 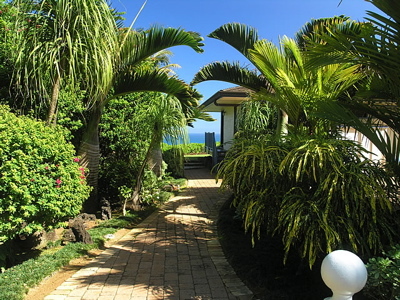 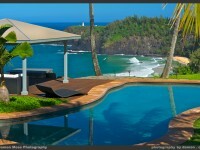 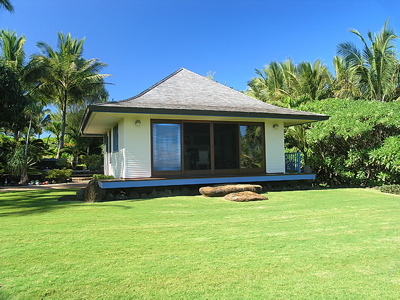 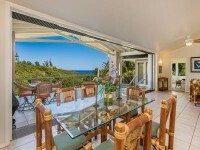 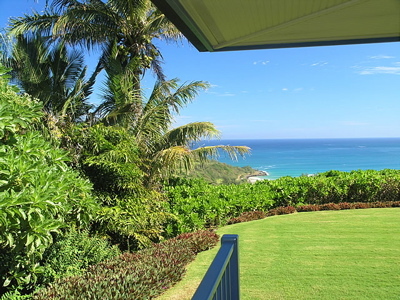 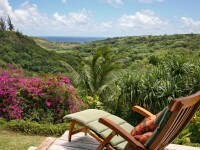 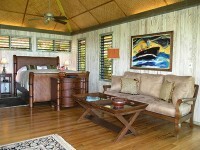 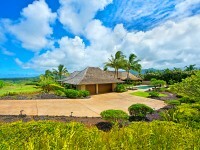 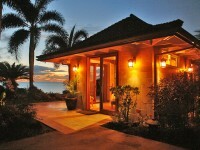 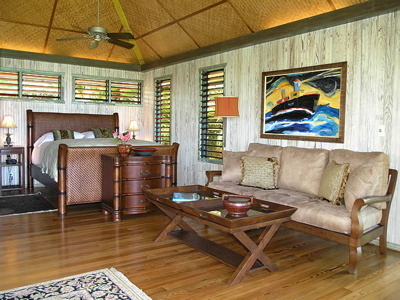 KILAUEA, KAUAI VACATION RENTAL: The Hawaiian Romantic Cottage is located on 9 acres of secluded and beautifully manicured gardens with spectacular panoramic views of the Pacific Ocean. 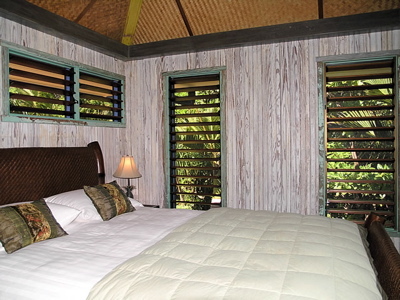 Lush majestic mountains and a gently flowing river will keep you company on your private beach path. 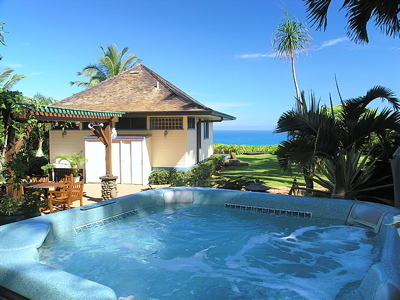 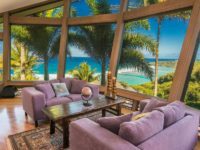 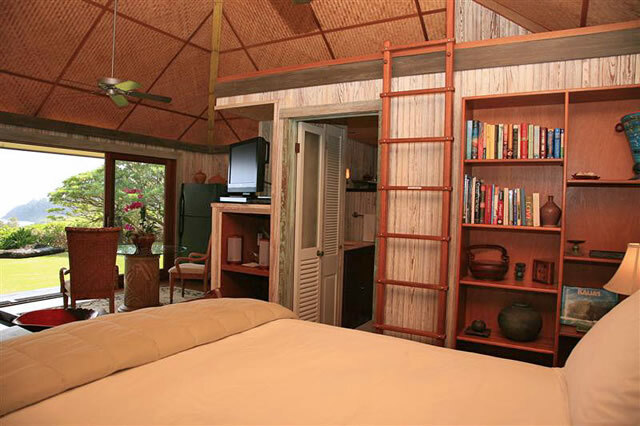 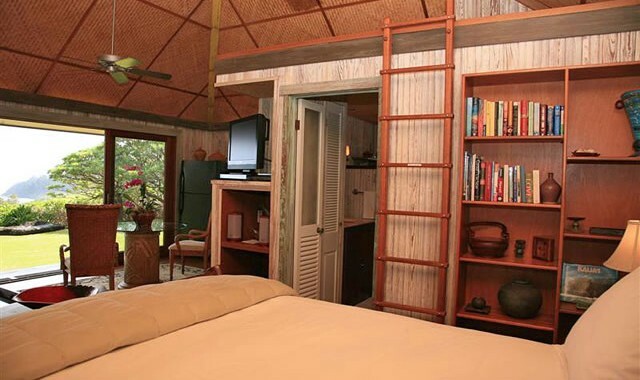 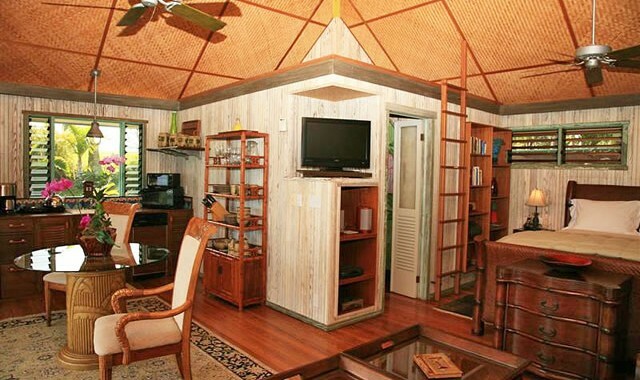 Watch the whales jump as they play offshore and seabirds soar through the sky from your bedroom in the Hawaiian Romantic Cottage.Treat yourselves to a tropical romantic vacation rental on Kauai, far from the confusion and stresses of everyday life. 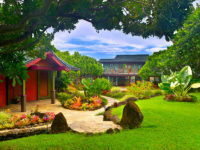 Enjoy the fabulous Hawaiian sunsets and feel the warm ocean breezes caress you on your next ultimate Hawaiian romantic vacation. 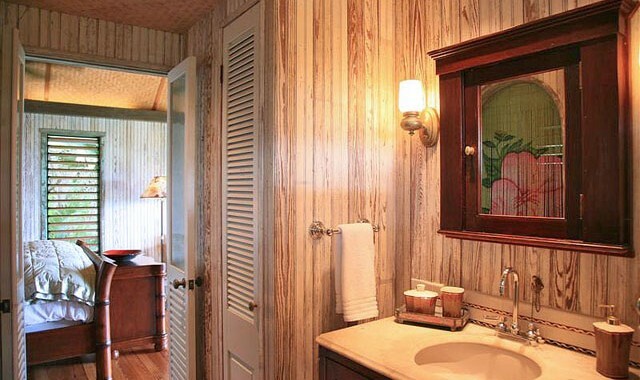 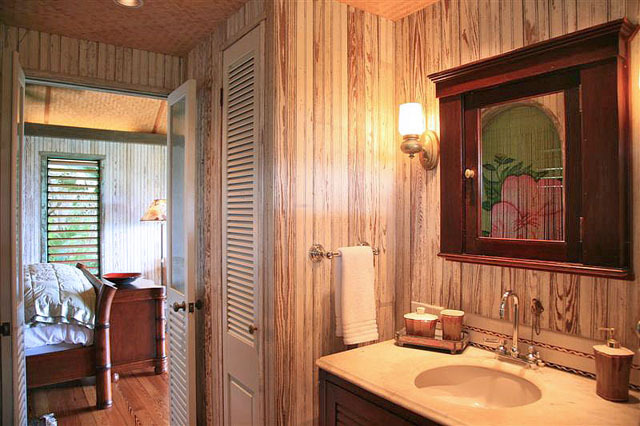 Amenities include: Large outdoor spa, Queen sized bed with 600-count sheet linens, Luxurious plush towels, Large private barbecue area, Private path to the beach, Intimate ocean, mountain and river views, Antique furnishings, Washer and dryer, Full size refrigerator, Large Viking gas grill, Top line cookware, each chairs, towels and mats.